The Sandwich Fire Department provides Emergency Medical Services for the citizens and visitors to the Town of Sandwich. The department has four (4) ambulances two (2) of which are staffed by on duty personnel twenty four (24) hours a day seven (7) days a week. The other two (2) ambulances are staffed by personnel that are called back to cover the station as needed. The department is full time Advanced Life Support (ALS). We respond to all types of medical emergencies as well as motor vehicle crashes. These would include cardiac events, seizures, falls, lacerations, etc.. Our personnel have the ability to check blood pressures, blood glucose levels, oxygen levels, simple four lead EKG’s as well as full twelve lead EKG’s. We are able to establish IV access and place endotracheal tubes (breathing tubes) and place patients on oxygen and administer medications per the Massachusetts Statewide Treatment Protocols. 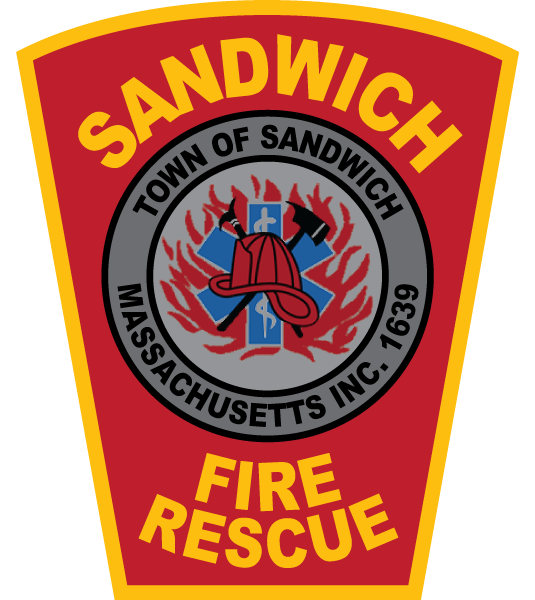 The Sandwich Fire Department on average responds to 10 – 11 calls for service per day. We transport to the closest and/or most appropriate medical facility that is needed for the patient we have encountered. In some cases we may need to follow the Massachusetts Statewide Point of Entry Plan for Trauma where a patient is to be brought to the closest and most appropriate Trauma Center either by land or air.